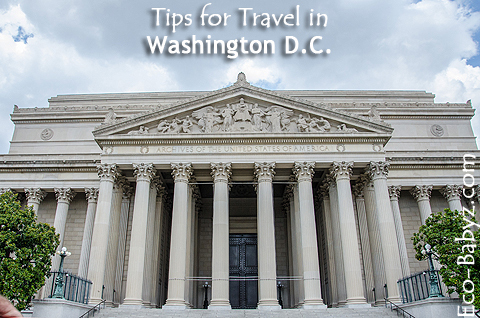 Eco-Babyz: Tips for Travel in Washington D.C.
You live you learn... That certainly applies to every travel destination. We have learned a lot about traveling in general and specifically Washington D.C. on our trip. You know, those little things you will not always read about in a tour book? 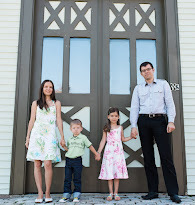 Some of which are common sense - and that can be hard to come by when you're juggling two small children. To anyone traveling to the capital, I hope our tips will make your trip a little smoother than ours! If you will use the Metro, which I highly recommend, buy a SmartTrip card and don't bother with paying per trip. It is so much easier. We ended up paying more buying it on our second day than if we would have bought it in the first place. It's worth it. It also works on other public transportation, so it's your one ticket to anywhere. If you have a couple of bucks left on the card when you're leaving, pass it on to the first tourist you meet who would use it - maybe another family with kids or an elderly couple, that's what we did. They were pleasantly surprised! The D.C. Metro is very accessible, so if you're traveling with small children - skip the hassle of folding the stroller on the escalator and use the elevators available at every station. By day three we got the hang of it. The underground Metro stations get quite hot. D.C. temperatures are around 80 to 90 and humid in the summer! But the Metro trains themselves have AC and so do all the buildings. Keep that in mind when you dress yourself and the kids. Layers! Otherwise you may be stuck with a cold going from hot to cold, cold to hot environments all day. Take that umbrella, the summer humidity also brings a lot of thunderstorms. While it may actually be welcome on a hot day, you don't want to get drenched and then walk into an AC building and get sick. You know how it always rains when you forget the umbrella? Yep, that happened. Water! D.C. is made for tourists. Beverage prices are through the roof. Bring your own! We brought at least three reusable stainless steel water bottles with us every day, it ended up not being enough for our family of four. I drink a lot when I nurse. At the end of the day we ended up having to buy a bottle of HonesTea because we were out of our water. Comfy shoes! On a map it may look like it is really nice to have all the museums in one place, it seems like it is all 'within walking distance'. Well, it is, long distance walking that is. All the buildings are huge, consider that when you're looking at the map. They take up entire blocks of the street and just to walk around one building may take fifteen minutes. Once you're inside any building, there is also a ton of walking. So don't bother if you don't have comfortable footwear. I wore my Nada barefoot shoes (sort of like these) the whole trip and I don't know what I would do without them! This was silly of us not to know, but most museums are only open until 5:30 pm! On day one we arrived there at 5 - so we had to pretty much run through the entire Air & Space Museum in half an hour. Yeah. What were we thinking? Always check the hours for your destination. Looking for organic food in D.C.? Try the National Museum of Natural History! It was a pleasant surprise to see that they offered locally grown, sustainable food, meat without hormones or antibiotics, organic produce, etc. Good stuff! Prices were above average of course, but that's to be expected in a prime tourist destination. If you're looking to save some money, bring your own food at least for one meal. Eating out in D.C. is very expensive as I mentioned above, for average people like us at least. Before we left for our trip I made a bunch of yummy sandwiches with my own bread, butter, cheese, chicken, and tomatoes, placed them in a cooler (this cooler turned our butter to ice even though it was ninety degrees in the trunk!). Kept them in our fridge in the hotel room, took them with us in our backpacks to D.C., and we saved at least $80 by not eating out at every meal. Outstanding ideas to keep traveling in DC fun and enjoyable. Be sure to make reservations for the places you want to see most, like the Capital, Ford's Theater etc way ahead of time. Some places require months ahead reservations. Great tip, thank you Joanne! Love these tips! I am hoping to go to DC soon and will definitely use this post for reference!